Designed for sharing with others! Our most extensive resource on the research work of Ron Wyatt and the continuation of that work after his death. Covered are Sodom and Gomorrah, Noah's Ark (including the Noah's Ark National Park and Visitors' Center), the Red Sea Crossing site, Mt. 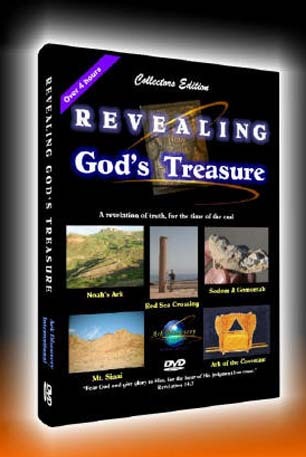 Sinai, and the Ark of the Covenant. Included are bonus presentations made by Ron Wyatt detailing many of his experiences with the research work.